Stephen King has stated that of all the books he’s written, PET SEMETARY is the one that scares him the most. Undoubtedly, the death of a child, which drives a large amount of the plot, has a lot to do with that. Losing a child is probably every parent’s worst fear. So, with something so primal and horrifying at its center, shouldn’t this new big screen take on the material be a lot more terrifying? The audience I saw it with laughed more than screamed. A lot more. What happened to make such potent material so risible? Perhaps it has something to do with the issue of certain King tropes being challenging to visualize due to their outrageousness. Granted, most horror is to some degree or another, but while marauding semi’s or a rabid St. Bernhard terrorizing a mother and her child in a car was terrifying on paper, the physicalizing of such conceits on celluloid made them look, well, a little cheesy. The same plagued Church the cat when he returned from the dead in the first PET SEMATARY movie made in 1989. He looked pretty fluffy after being dead and buried, and his new glowing eyes looked like a bad special effect from ELECTRO-WOMAN & DYNAGIRL. Today, production values can squelch a lot of such obstacles. 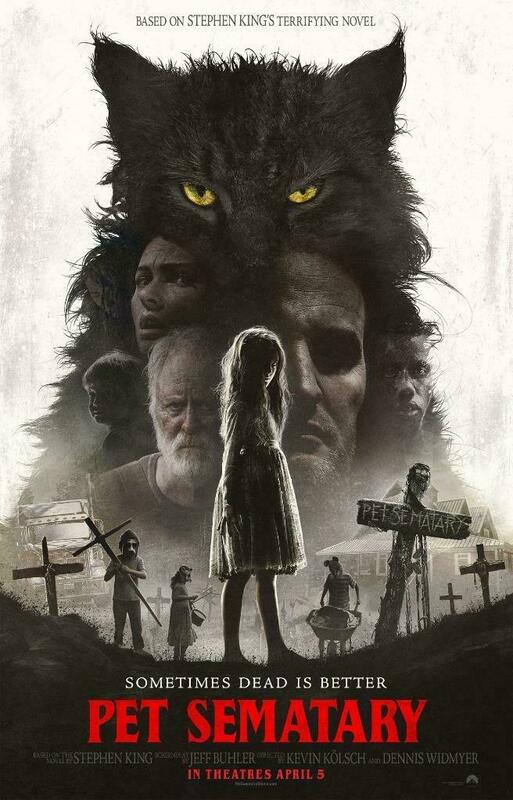 And by and large, the new version of PET SEMETARY looks a whole hell of a lot better. And yet, now Church is so mangy to the point of caricature, his appearance draws big laughs when he appears. He doesn’t seem so much like a newly bedeviled feline as much as an uncomfortable animal trained to sit there and not blink away all the mousse styled into his coat. 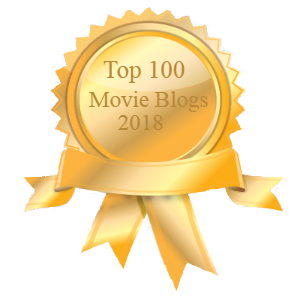 The story of the overworked Dr. Louis Creed (Jason Clarke) moving his family to a country home to take a teaching job at the University of Maine was relatable on the page. But here, from the get-go, the movie makes a lot of unforced errors. Wife Rachel (Amy Seimetz) is so on edge from the beginning, it’s not foreshadowing it’s foreboding. The reveal of her peccadilloes – guilt over feeling she helped cause the death of her crippled sister Zelda – should be much more insinuating. John Lithgow shows up as Jud, the friendly old man next door, looking dirty and weather-beaten. Even at a funeral later in the film, he looks like he slept in his clothes and hasn’t bathed in weeks. Why? Directors Kevin Kolsch and Dennis Widmyer push everything as if they didn’t trust the material. Yes, Jud is supposed to be old and crusty, but must he look like he’s caked in crust? Fred Gwynne did the part just fine with a trim, silver haircut and proper posture. You know that the filmmakers have misplaced emphasis when they introduce scary children in masks, toting a dead dog up to the Pet Sematary to be buried, and they act like they’re the costumed guests in EYES WIDE SHUT. These are parlor tricks, added to boost the story, but King’s prose didn’t need it. They needed to be played seriously and make us believe all we’re seeing. But by the time, Louis schleps up the mountain with Jud to bury Church, everything is too over-the-top. The semi trucks roaring by on the road that took the cat’s life are mixed way too loud. The cemetery looks like something out of a comedy skit and is clearly an indoor set for most of the time. And the wall of branches cutting off the cemetery from the old Indian burial ground, which will bring back Church and others, looks like the fortress out of LES MISERABLES. Why is everything too much? By the time, Zelda is revealed as little more than an arching bony back and sweaty, matted-hair mess, the film loses empathy. Yes, we should be horrified by the ravages of her illness, but she still is a person. She should induce some pity in the audience, as well as her younger sister Rachel in those flashbacks, but the filmmakers just want to go for big scares. Unfortunately, they yield little credibility and mostly, large laughs. And when the parents’ worst nightmare occurs, and they lose Ellie to the road as well, we know her death will be short-lived. Still, the filmmakers take forever to return her. They waste oodles of time showing Louis dig her up, carry her up the mountain, and bury his child on the secret grounds. What they don’t spend time on is Ellie to begin with, getting to know her, or like her. The same with Louis, who we never see make the proper turn from stalwart MD to unraveling grave robber. When Ellie shows up as if she’s a left-over cast member from THE WALKING DEAD, with her droopy eyelid and gray skin, it plays almost like a parody. Hearing her call her mom an “old cow” should devastate. Instead, such outrageous dialogue comes out of left field. The fact that screenwriters Jeff Buhler and Matt Greenberg did a switcheroo on King’s kid characters here doesn’t add much other than more frustration to this version. In the original story, it’s the son who’s killed. Here, Gage is an innocent toddler, blithely unaware of what’s happening around him. The two writers also manufactured a silly ending too which becomes the perfect icing to this already sour and dispiriting take. Clarke tries to elevate the material by underplaying where he can, and old-pro Lithgow works up some audience empathy, but every other element is too heightened to really connect. Kolsch and Widmyer have done excellent work before. I was a big fan of their film STARRY EYES and gave it a rave when I was the horror movie critic for the Chicago Examiner. It built up incredible dread, slowly but surely, and never overdid things. Here, it seems as if they’re kids in a candy store, using a big, studio budget to make more hay out of every set, set-piece, and scare. The audience should’ve been covering their eyes. Instead, they were rolling them. To borrow a sentiment from King, the worst fear when watching a horror film is realizing it’s more unintentionally hilarious than horrifying.